Authority Health › Diet & Weight Loss › What's The Hype With Garcinia Cambogia? If you are looking for ways to lose weight or improve your fitness levels then the answers you are looking for lie within a healthier lifestyle. Your diet and exercise routine (1) has an impact on both these factors, however, there are various products on the market which have been designed to give you a helping hand when it comes to losing weight. One of the most popular products in the weight loss category which seems to have yielded great results, according to various reviews and studies, is garcinia cambogia. Pure garcinia cambogia extract comes from the fruit of a tree which grows in parts of Southeast Asia, Africa, and India. Remarkably, studies of this extract have linked it to a number of properties that assist with weight loss in at least two major areas. Firstly, it can inhibit the fat production in the body. Secondly, it has been shown to suppress appetite and lower cravings for sugary, salty, and fatty foods. Together, this dual action means it may help you sustain your nutrition levels and healthy eating habits. While weight loss is certainly the cherry on the cake for most people, garcinia cambogia offers many additional health benefits which you may not be aware of. In this article, we will explain everything you need to know about this fruit and how it can benefit you. The two polyisoprenylated benzophenones found in garcinia cambogia namely guttiferone K and garcinol protects cells against harmful factors such as oxidative damage (2). Garcinia cambogia may prevent ulcers by decreasing the acidity of the stomach fluid and activating the stomach's natural defense. Gut infections - Escherichia coli, Klebsiella Pneumoniae, and Bacillus subtilis. Skin, urinary and lung infections - Pseudomonas aeruginosa. Skin infections - Staphylococcus aureus (3) which causes food poisoning, septicemia, Toxic Shock Syndrome (TSS), and septic arthritis. Increases zinc, copper, iron, and phosphorus (mineral levels) when taken with a high cholesterol diet. It contains Hydroxycitric Acid which blocks the fat production in the body - it does so by blocking the enzyme Citrate Lyase (an enzyme the body needs to create fat from carbs), resulting in weight loss. Pure garcinia cambogia increases the metabolic rate of the body, which in turn will cause the body to burn calories faster, increase energy levels and decrease the fat content in the body. HCA Garcinia lowers bad cholesterol and increases the levels of good cholesterol. This, in turn, helps to keep high blood pressure in check, which reduces the possibility of heart attacks and strokes (4). Reduces the amount of cortisol (stress hormone) in the body, which decreases anxiety and stress in your daily life. Garcinia cambogia has been shown to curb binge eating. People in emotional distress might turn to food for comfort. If a person has low serotonin they are more prone to anxiety and depression, garcinia cambogia has been shown to increase serotonin levels and prevent this from happening (5). Studies in humans and animals have indicated that it may lower high levels of fat in the blood and reduce oxidative stress in the body, causing it to be effective at reducing the build-up of belly fat in overweight people. The most noteworthy activity of garcinia cambogia is its effects on blood fats and the production of new fatty acids. The health benefits which may be experienced when taking this supplement are, it helps to control the appetite by increasing the serotonin levels, it decreases oxidative damage, increases mineral levels, contains Hydroxycitric Acid which blocks the fat production in the body, increases metabolism, which in turn will cause the body to burn calories faster, increases energy levels and decreases the fat content in the body, helps the body balance bad cholesterol, reduces the amount of stress, increases the serotonin levels, and reduces the build-up of belly fat in overweight people. Hydroxycitric Acid (HCA) is the active ingredient in the fruit's rind, which boosts fat-burning and suppresses appetite. It blocks an enzyme called citrate lyase, which the body uses to produce fat and raises levels of the brain chemical serotonin, which may make you feel less hungry and more content. Potassium turns food consumed into energy, increases the metabolic rate of the body, aids muscle growth and development, and helps the body lose weight faster. Potassium is also beneficial as it aids with the absorption of HCA in the body. 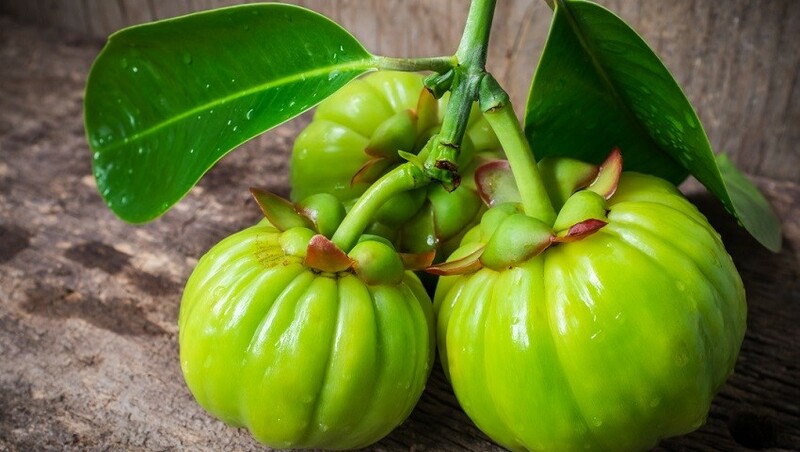 Pure Garcinia Cambogia should contain 95% HCA for it to be effective. Some products contain only 30% - 50% which will be ineffective and some products contain 200% which is too much and may result in some serious health problems. Another factor to consider is that the formula should not contain any calcium as it is known to have a negative effect on the HCA extract. Read the label to make sure the correct percentage of HCA Garcinia is present. When looking for a suitable supplement it's important to consider factors such as the ingredients and dosage. The only two ingredients that should be in a garcinia supplement are HCA and Potassium. Another important factor is to make sure the HCA content is 95% and that there is no calcium added in the formula for effective results. 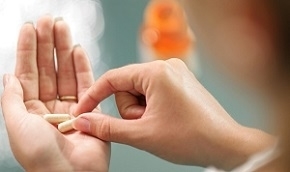 Are Garcinia Cambogia Supplements Enough To Stop Weight Gain? When we consume carbs, fats and sugars they are turned into fat and stored in the body. Garcinia cambogia fights this by limiting the production of the enzyme citrate lyase which is responsible for this conversion! So by blocking the creation thereof, it lowers the amount of fat our bodies create. An increasing number of people are turning to garcinia cambogia to help shed unwanted pounds, and those who embark on a weight loss regimen with this product often ask if there is still a need to exercise. Supplements containing pure garcinia cambogia are not dependent on exercise to do their part in helping people shed pounds. The benefits of this product do not come from physical activity but from the Hydroxycitric Acid (HCA) that is extracted from the fruit's rind. Exercise provides a synergy that will support the action of HCA, and as metabolism increases with exercise, it will enhance the weight loss process brought about by HCA Garcinia. Being comfortable in your own skin, and feeling confident is something that we all strive for. So if you have some extra weight which it is making you uncomfortable and less confident, there is a way out! Make sure the serving size is 1600 mg a day - 800 mg capsules, to be taken 2 times a day, before meals for optimal results. To answer the question if garcinia cambogia supplements are enough to stop weight gain, the answer is that it might depend on what you eat. If you adopt an attitude that you may eat what you want because the garcinia is going to block it, then you are heading in the wrong direction and you might even experience weight gain. The correct attitude to adopt is healthy eating habits and a healthy lifestyle to encourage garcinia cambogia to be its most effective. Summary:Supplements containing pure garcinia cambogia are not dependent on exercise to do their part in helping people shed pounds. The benefits of this product do not come from physical activity but from the Hydroxycitric Acid (HCA) that is extracted from the fruit's rind. Exercise provides a synergy that will support the action of HCA, and your metabolism will increase with exercise, this will enhance the weight loss process brought about by HCA Garcinia. Make sure the serving size is 1,600 mg a day. A healthy diet, the correct exercise, and garcinia cambogia might just give you the sculptured body you desire. Once this has been achieved it is important for you to maintain your weight, so that you can remain at your goal weight. Unfortunately, pounds can creep back when you look and feel fantastic so you let yourself go for a meal or two. You tell yourself you deserve it because you've just spent weeks and months counting calories and working hard in the gym or doing some sort of exercise. Everyone who has been on a diet before knows that managing your eating habits and hunger is crucial for a successful diet, but it can be a very difficult task. The feeling of being hungry can sometimes be too much to handle. This supplement has been formulated to assist in this area. Now comes the time in your life you need further help, and that is where garcinia cambogia comes to the rescue again! Taking this supplement after reaching your goal weight will help you stay away from the foods you have been avoiding all along. Maintaining your weight is key to sustaining your weight loss for the long-term and even for the rest of your life. Summary:Taking this supplement after reaching your goal weight will help you stay away from the foods you have been avoiding all along. Stabilizing your weight is key to sustaining your weight loss for the long-term and even for the rest of your life. There have been reports of serious liver problems in certain people who have taken products containing HCA Garcinia. It is unclear if garcinia cambogia supplements are the actual cause of liver problems in these reports or if it is due to other factors. If you are pregnant or breastfeeding - Avoid use -There is not enough reliable information about the safety of taking garcinia. If you have bipolar disorder - Avoid use - Garcinia may worsen mania in bipolar disorder. If you have liver disease - Avoid use - Garcinia might harm the liver and worsen liver damage in people with liver disease. Summary:Common side effects are nausea, digestive tract discomfort and headache. Avoid if you have bipolar disorder, liver disease and/or if you are pregnant or breastfeeding. If you are someone who desires to improve their health, lose weight or get a better physique, this supplement can help you greatly and provide many health benefits, but it can't do all the work for you. If you eat healthily and exercise regularly garcinia cambogia will give you the support to lose weight even faster. It will help you to stay on the correct path, but it will not do everything for you, so keep that in mind. Each person is unique, so take care of your own personal weight goal by doing the necessary research about the product and speak to your doctor about what your intentions are to make sure that this product is suited for you. That said, adding garcinia cambogia to your daily routine may help you take off a few extra pounds. Summary:HCA Garcinia can help provide many health benefits and change your life to a certain degree but it can't do all the work for you, it will give you the support to lose weight even faster if you eat healthily and exercise regularly. Do the necessary research about the product and speak to your doctor about what your intentions are to make sure that this product is suited for you. Adding Garcinia cambogia to your daily routine may help you take off a few extra pounds, provide many nutritional benefits and make you feel comfortable and confident in your own skin.